Perfect as a starter served with a sweet chilli dip, or delicious as a light lunch with some green salad. This is a great way to introduce children to eating crab. Follow a recipe; follow food safety & hygiene rules; tidy away; use measuring jugs and spoons; use balance/digital scales; chop using bridge/claw safely; snip herbs with scissors; season to taste; shape e.g. burgers, fishcakes; coat e.g. goujons; use the hob (with adult supervision); season to taste. Measuring cups and spoons, weighing scales, knife, chopping board, mixing bowl, plate, frying pan, fish slice. Check crab meat for any bits of shell. De-seed the peppers and dice into a small dice then place in a bowl with the crab meat, 50g of breadcrumbs, coriander and mayonnaise. Mix all ingredients together, season and divide the mix into 8 equal balls. Roll the crab balls in some fresh breadcrumbs and shape them. Pan fry the crab cakes so that they colour golden brown on both sides and serve immediately. 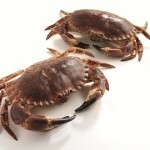 Crab is high in protein, plus a huge variety of vitamins and minerals. The white meat is particularly low in fat and calories. You can buy white crab meat fresh or canned. Crab is best when in season from April through to October. Frying is a method of cooking in oil. 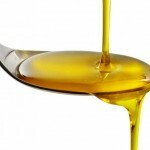 The Eatwell guide tells us to choose unsaturated oils (olive or rapeseed oil) and to eat only in small amounts.